No Leftovers Here! .. TEN New Christmas Movies to air this Weekend on TV! 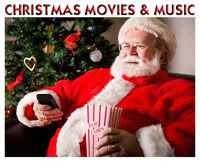 Ten NEW Christmas Movies to enjoy this Weekend with your family! When a foster teenager, who can’t seem to stay out of trouble, is assigned to work at a no-kill animal shelter for his community service, he finds a... click here to read more! on NICK at 7 PM/6c. Santa’s making his list, checking it twice… and undergoing a secret investigation in Nickelodeon’s brand-new original TV movie Santa Hunters. The film follows nine-year-old Alex as he sets out to prove to the world that Santa is real. However, unexpected consequences from Alex’s meddling may cause Santa to... click here to read more! on UP at 7 PM/6c. 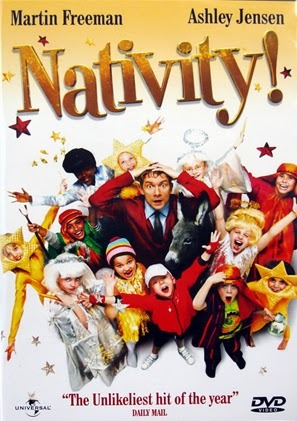 This Christmas, primary school teacher Paul Maddens (Martin Freeman) is charged with producing the school's nativity play. Competing against the posh rival school for the honor of best reviewed show in town, the stakes are raised when... click here to read more! on Hallmark Channel at 8 PM/7c. When a driven doctor doesn’t get the prestigious position she planned for, she unexpectedly finds herself moving to a remote Alaskan town. While she meets the locals and even starts a new romance, she has to learn to let... click here to read more! on Lifetime at 8 PM/7c. In "Grumpy Cat’s Worst Christmas Ever," Grumpy Cat is a lonely cat living in a mall pet shop. Because she always gets passed over and never gets chosen by customers, this kitty develops a sour outlook on life until…one day during the holidays, a very special... click here to read more! on UP at 9 PM/8c. This Christmas, the unforgettable pupils of St. Bernadette's have set their hearts on competing in the national choir contest, "A Song For Christmas." But with the headmistress not in favor of the plan, new class teacher Mr. Peterson, along with his expecting wife, has... click here to read more! One day, after hearing the roar of buzz saws used to clear the woods of sickly saplings, nine-year-old Molly (Olivia Steele-Falconer) ran to save her favorite – even after... click here to read more! 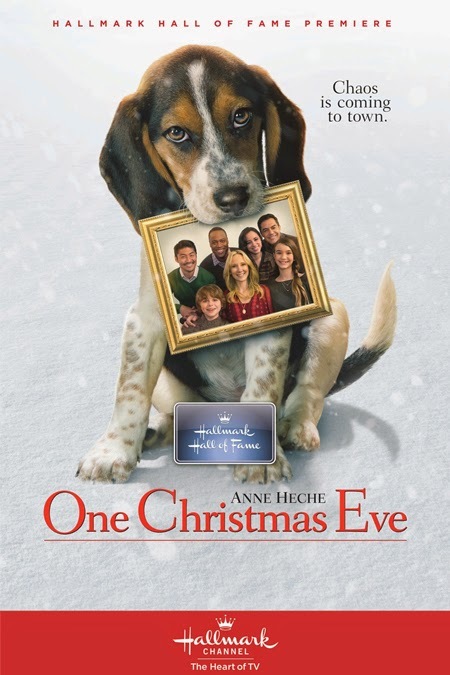 Anne Heche stars as a recently-divorced mom who wants her two kids' first Christmas "without dad" to be perfect. An entertaining but unfortunate series of Christmas Eve mishaps ensures that won't happen - unless... click here to read more! on INSP at 8 PM/7c. Two estranged sisters who haven't been on speaking terms reunite in hopes of... click here to read more! on ION at 9 PM/8c. While searching through her late mother’s attic, Rebecca uncovers sealed cards from a mysterious suitor that had been addressed to her widowed Mom over the past 12 Christmases. As she begins to wonder the identity of man, Rebecca hires a handsome, yet mysterious, detective... click here to read more! 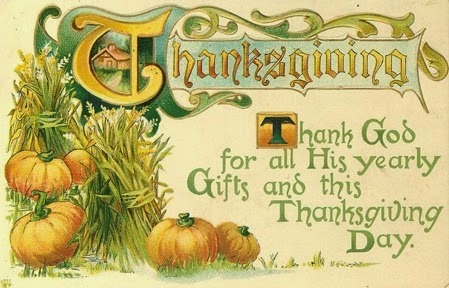 I hope you enjoy this wonderful Thanksgiving Weekend with your family!!! Enjoy this Special time and hopefully you can enjoy a new movie or two... Together, too! 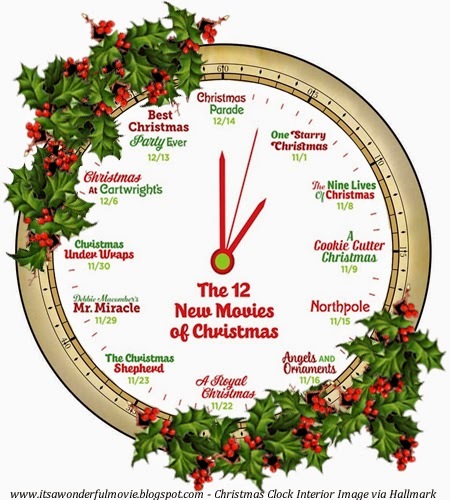 See air times for these movies & more in the Christmas TV Schedule! Happy Thanksgiving! ... Plus a big helping of Thanksgiving Specials on TV! On Thanksgiving Day, we gather with family and give thanks to the Lord for our many blessings! *and more Classics on TCM, including Little Women and a late showing of Meet Me in St. Louis, and more!!! Please see the Christmas TV Schedule for all the air times for these specials! We remember today, with gratitude, the course the Pilgrims took to make it to America... to cross the ocean and then survive through many trials and obstacles. Were they joyful or fearful when they landed that day on Plymouth Rock? We cannot even imagine the hardships they faced as the set off on their mission to leave their homeland behind, determined to live in America, where they would be free from religious persecution. 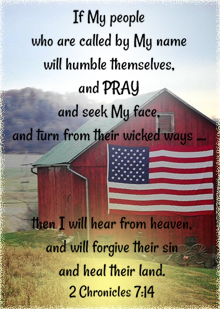 We thank the Lord for guiding them here and we pray for that same bravery and courage today. A New Movie Tonight on Thanksgiving Eve! with the Premiere of "A Christmas Tree Miracle"! Premieres Wednesday, November 26th on UP at 9PM/8c. via UP-- For the George family – accustomed to the luxuries of a privileged suburban life – Christmas has become a season of taking rather than giving. 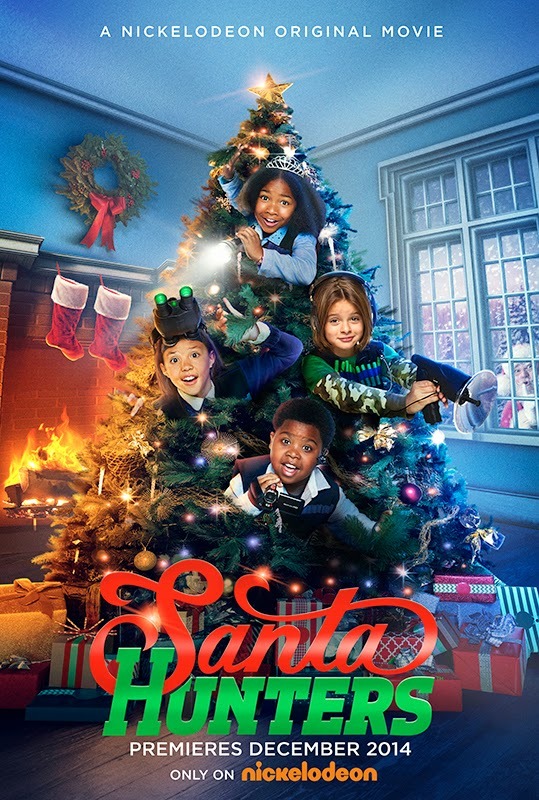 With dad preoccupied with work, mom on edge, and self-involved teens Nick and Natalie fixated on their ever-growing wish lists, the youngest, six-year-old Nina, is the only one with any true Christmas spirit. When their dad loses his job just before the holidays, the family... click here to read more! *You can also see my interview with Actor Kevin Sizemore from "A Christmas Tree Miracle" and Writer/Producer Ty Demartino, who give a behind-the-scenes look into their Christmas movie! While you are preparing for Thanksgiving, I hope you all enjoy gathering with your family and watching the premiere of A Christmas Tree Miracle - tonight on UP! 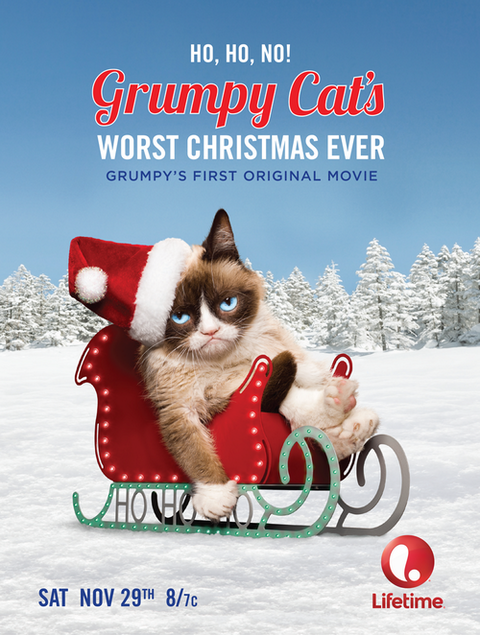 See additional airings for this movie and more in the Christmas TV Schedule! 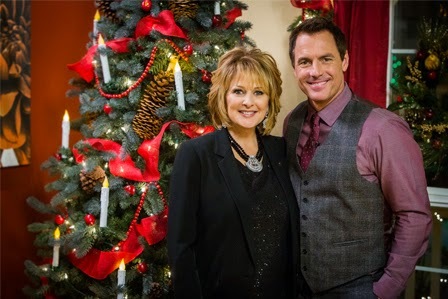 Hallmark Channel Movies Coming in 2015! of Hallmark Movies to look forward to in 2015! The magical spark of the holiday season continues into the New Year on Hallmark Channel with brand new original romances! This January, Hallmark Channel promises to sweep viewers off their feet with six all-new Hallmark Channel Original Movie World Premiere movies, bringing viewers love stories that are sure to warm up even the coldest winter weekends. Featuring stars like Jaclyn Smith, Hilarie Burton, Tim Conway, Stefanie Powers, John Schneider, Dean Cain and many more, Hallmark Channel’s Original Movie schedule lasts all month long with captivating original tales of chance encounters, rekindled flames and fairytale happily-ever-afters. The January schedule, including “Away & Back,” a special Hallmark Hall of Fame World Premiere Presentation starring Jason Lee and Minka Kelly, leads to the network’s love-filled ‘COUNTDOWN TO VALENTINE’S DAY.’ Viewers will want to stay tuned for this highly anticipated programming event, starting January 31st, featuring two weeks of Hallmark Channel’s most romantic movies of all time. Josie Mayfield (Burton), a no-nonsense businesswoman working at her father’s prosperous cookware company, thinks her boyfriend Richard (Aaron Craven, “Gracepoint”) is the perfect man – handsome, successful and driven. The problem is that Josie’s parents, Joseph and Claire (Malcom Stewart, “My Boyfriends’ Dogs” and Wanda Cannon “Heartland”), do not agree. When Josie meets up with Gridley (Campbell), an underachieving, old high school flame (who still has a crush on Josie), Richard dreams up a plan to make himself look good to Josie’s parents: Gridley will be Josie’s date at Joseph and Claire’s upcoming anniversary party. When Joseph and Claire see Josie with a “loser,” they’ll give anything to have Richard back in the picture. At least, that’s the plan. Romance novelist Liam Bradley (Bruce) has already found massive success with three books written under the pen name Gabriel August, mysteriously unknown to his legions of readers. With his first book written as a way to heal after a broken relationship, Liam has slowly become disheartened with writing strictly for romantic fantasy, something evident to a sweet, but honest, journalist who reviews books, Sophie Atkinson (Acker), whom he meets by chance on a plane. The two begin a tentative relationship in Sophie’s home town of Portland, Maine, where Liam has come to find inspiration for his newest entry. As her wedding day draws near, Georgie Dwyer (Kebbel) has doubts surrounding her plans to marry Dr. Phillip Hamilton (Haydn-Jones), a dashing and prominent plastic surgeon. Georgie’s anxiety level soars when an extravagant wedding ceremony is arranged at a romantic island resort. Preferring things low-key and simple, Georgie feels she’s lost control of her own wedding, as well as her life. 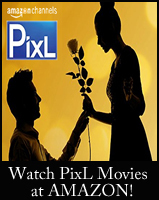 Though Phillip qualifies as the “perfect” fiancé, Georgie feels a romantic spark is missing in their relationship. Tensions rise even further when Phillip’s sophisticated mother, Felice (Smith), blatantly frowns upon Georgie’s working class origins. On the picturesque island, Georgie keeps finding herself in chance encounters with Luke Griggs (Walker), a scruffily handsome ex-architect, who walked away from a high-end architectural firm to enjoy a simple, no-frills life. When an undeniable chemistry develops between Georgie and Luke, Georgie must decide if she’s going to move ahead with her rapidly approaching marriage to Phillip. After a childhood filled with reading fairytales, bookstore owner Emma (Renee) believes in handsome princes and happily ever afters. Unlike her happily married coworker Marilyn (Powers), Emma has yet to be swept away by her own prince charming. Trying to both find an idyllic love life and impress her store’s investor, Frank (Schneider), Emma balances time dating romantic suitor Landon (Ryan Bittle, “All My Children”) and time at her store with Frank’s nettlesome son, Eric (Kristopher Turner, “Saving Hope”). Although Landon demonstrates real knight and shining armor potential with his romantic overtures, he doesn’t understand her priorities or support her passions like Eric does. As Emma weighs fairytale courtship against genuine commitment, she learns that real love has more layers than storybook romances. When a family of swans make their home on the Peterson farm, it’s love at first sight for 10-year-old daughter Frankie. But along comes no-nonsense ornithologist Ginny Newsom (Kelly), who rushes in to “save” the majestic birds. For Frankie’s dad Jack (Lee), it’s dislike at first sight when he encounters pushy, know-it-all Ginny. Frankie and her brothers are anything but neutral observers as they watch the initial hostility between their widowed father and the strong-willed Ginny transform into something else. Could that be romance in the air? There’s nothing more romantic to mark the year’s biggest celebration of love than red roses, chocolates, candlelight…and Hallmark Channel! Grab a date and embrace the loving, tender spirit of the season with two weeks of Hallmark Channel’s most romantic and heartfelt movies as part of the network’s ‘COUNTDOWN TO VALENTINE’S DAY.’ The love-filled programming event will include five All-New Original World Premieres dedicated to matters of the heart, beginning with “30th Birthday,” starring Megan Park, Benjamin Hollingsworth and Dean Cain, on Saturday, January 31. The entire programming slate to be announced soon. Lindsay Corwin (Park) is a long-time believer in birthday wishes and she has wished for everything over the years from a puppy to a promotion. As she approaches her 30th birthday, Lindsay laments to her best friend Dave (Hollingsworth) that not one of them has ever come true and her life is nothing like she envisioned. Still just an assistant at her green product firm, and reeling from her latest dating disaster, Lindsay is ready to give up on her long wish list. But when Dave throws her a surprise 30th birthday party, Lindsay resolves to blow out her candles and make one final wish: for all of her wishes to come true. Within days, Lindsay’s 30 years of wishes start to become a reality. Her divorced parents reconcile, she loses weight, is promoted at work, wins a brand new house and even gets a special kiss from her favorite TV star (Dean Cain). Then, Lindsay meets Reed (Lemke), a passionate environmental tycoon who could fulfill her best wish of all: finding Mr. Right. As Lindsay and Reed begin a whirlwind romance too good to be true, Dave longs to tell her about his own deepening feelings for her. But soon, Lindsay’s new dream life starts to fall apart and threatens to compromise her character, her friendships and her potential for true, lasting love. 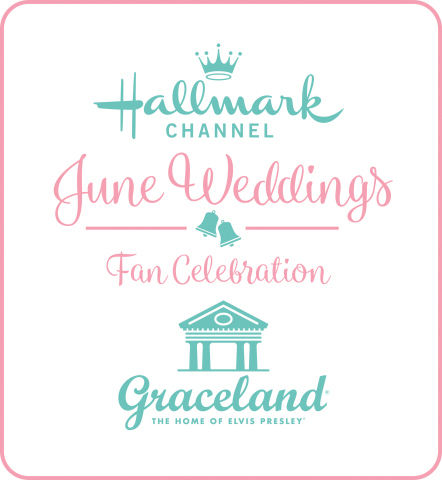 Hallmark Channel, owned and operated by Crown Media Holdings, Inc., is a 24-hour basic cable network that provides a diverse slate of high-quality family entertainment available in high definition (HD) and standard definition (SD) to a national audience of 85 million subscribers. Hallmark Channel is the nation’s leading destination for quality family programming featuring an ambitious slate of original content, including movies; scripted series, such as Cedar Cove and When Calls the Heart; annual specials like Hero Dog Awards and Kitten Bowl; and a daily 2-hour lifestyle show, Home & Family. Hallmark Channel is also home to annual holiday franchise, Countdown to Christmas, featuring a lineup of 24/7 holiday programming, including The 12 New Movies of Christmas. Rounding out the networks’ lineup are television’s most beloved sitcoms and series, including The Golden Girls, The Middle, Little House on the Prairie, and Frasier. Hallmark Channel's sibling network, Hallmark Movies & Mysteries, available in HD and SD, features a unique mix of content including original movies and acquired series that are dramatic in tone and focus on the lighter side of the mystery genre, as well as classic presentations from the acclaimed Hallmark Hall of Fame library. Isn't this exciting news for the new year? I'm so looking forward to the new TV Movies and Series coming in 2015 on the Hallmark Channel... as they continue to bring the stories we love to life and fill our homes with the joy of each season and holiday.... spreading laughter, love, and "the heart of TV"... all throughout the year! 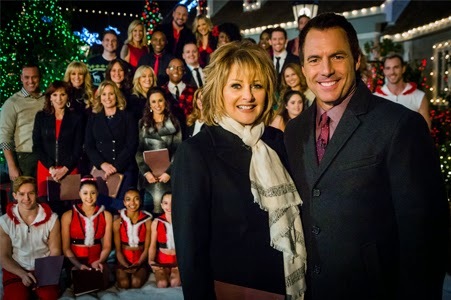 "To everything there is a Season, and a time to every purpose under the heaven...."
It's the "HOME & FAMILY" Holiday Special Tonight with Guest Stars from Hallmark Christmas Movies! the Two-time Emmy nominated "Home & Family"
The "Home & Family Holiday Special" premieres Monday, November 24th at 8p.m. ET/PT, 7C. 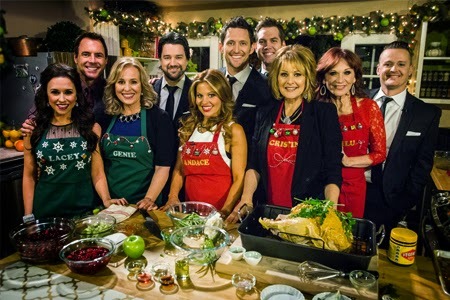 The show includes Music, Baking, Christmas DIY's, and a lineup of celebrity guests from Hallmark Channel Christmas Movies, including Candace Cameron-Bure (Moonlight & Mistletoe, Let it Snow, Christmas Under Wraps), Lacey Chabert (Matchmaker Santa, Royal Christmas), Marilu Henner (Hitched for the Holidays), and Genie Francis (The Note). Enjoy this all new Christmas Special and be sure to tune in to "Home & Family" show with Cristina Ferrare and Mark Steines airing every weekday at 10a/9c on the Hallmark Channel... as I'm sure they will have many more celebrity guests from Hallmark Channel Christmas Movies, as well as some fun, creative Christmas Crafts, Delicious Recipes, Lifestyle and Health Tips, and festive DIYs... all for your Home & Family! 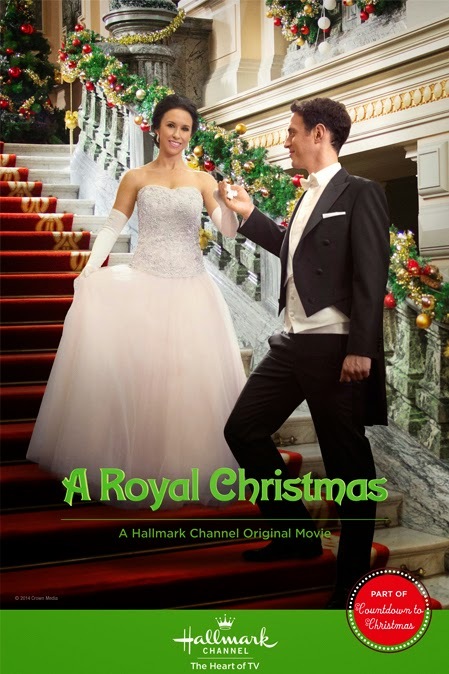 This Weekend on TV: Enjoy a "SPECIAL DELIVERY" of First Class Christmas Movies, including: A Royal Christmas, Signed, Sealed, Delivered for Christmas, and More! Enjoy the Shows, Enjoy the Shows, Enjoy the Shows! 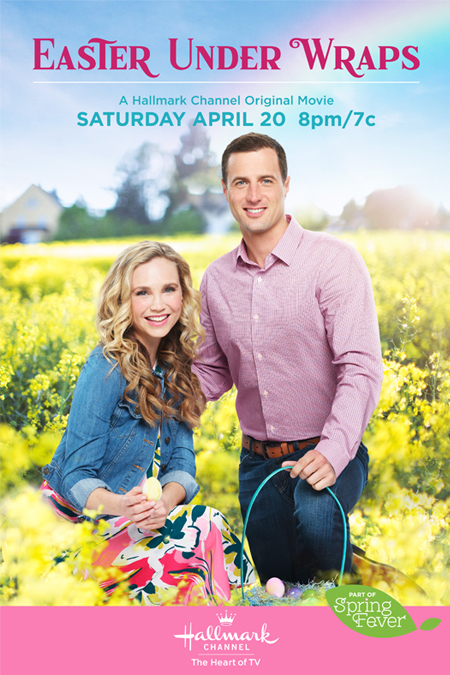 Premieres on the Hallmark Channel Saturday at 8PM/7c. via Hallmark -- As the only daughter of an expert tailor in Philadelphia, Emily Corrigan (Chabert) is a kindhearted young woman proud of her blue-collar background. She is a devoted seamstress at the family business and madly in love with her doting European boyfriend, Leo (Stephen Hagan). But as their first Christmas together approaches, Leo drops a bombshell on his unsuspecting girlfriend... click here to read more! Premieres on Lifetime Saturday at 8PM/7c. *Repeats at 10:01PM/9:01c., 12:02AM/11:02c., and 2:03AM/1:03c. 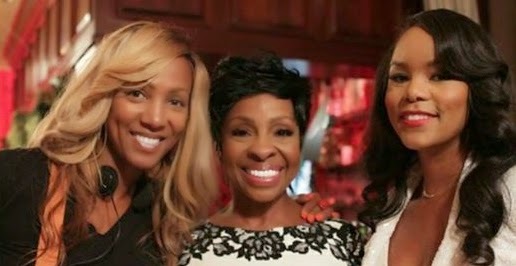 via Lifetime: Over the years, the funky divas of En Vogue have gone their separate ways, until they are asked to perform a benefit concert to save the club that made them stars. They put aside their hesitations to reunite for the special night, but first must overcome... click here to read more! Premieres on "Hallmark Movies & Mysteries" Sunday at 9PM/8c. 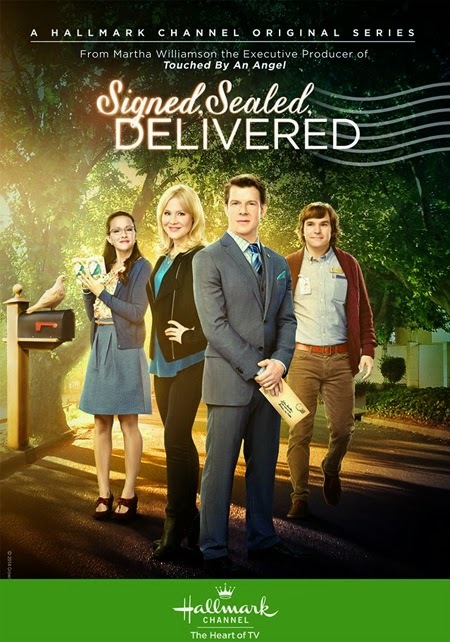 via Hallmark -- When the beloved quartet of postal detectives— Oliver (Mabius), Shane (Booth), Rita (Lowe) and Norman (Gustafson)—discover an urgent letter written to God, they delay their own travel plans to help a little girl who's... click here to read more! Premieres on "UP" Sunday at 7PM/6c. via UP: Parents separated and heading for divorce living on opposite sides of the country are brought together in Palm Springs by their kids, who are doing everything to get them back together before... click here to read more! Premieres on the Hallmark Channel Sunday at 8PM/7c. via Hallmark: In “The Christmas Shepherd,” Sally Browing, a Children’s book author and illustrator is devastated when her beloved German Shepherd, Buddy, runs away during a thunderstorm. Buddy miraculously ends up in... click here to read more! Premieres on Lifetime Sunday at 9PM/8c. Via imdb: Set in the picturesque backdrop of New York, "Seasons of Love" is a romantic, soulful holiday drama about two people who struggle to find love against the... click here to read more! 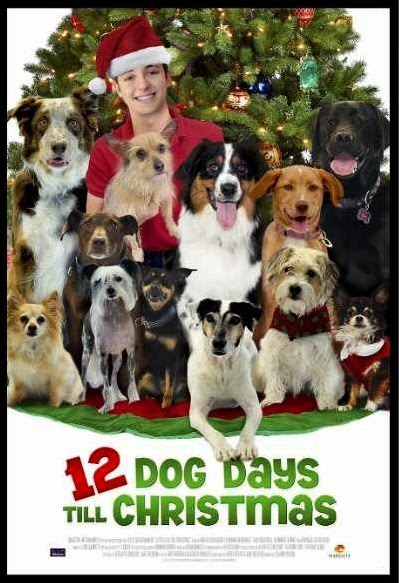 I hope you enjoy All the new Christmas Movies this weekend! 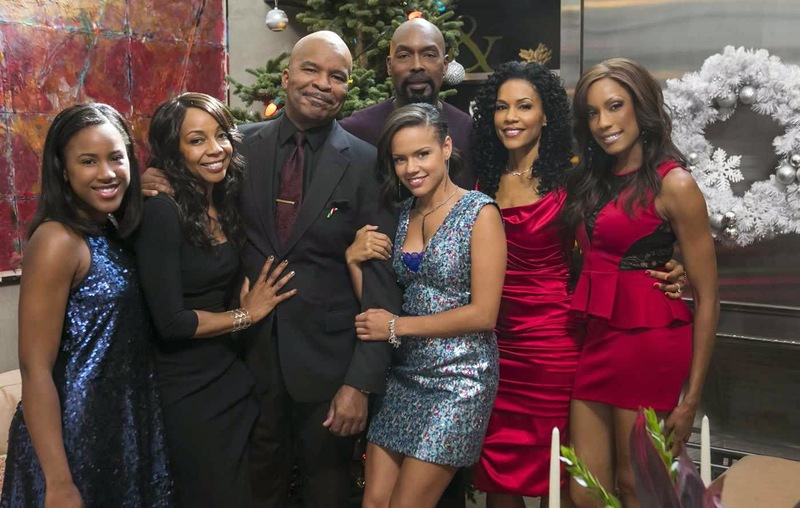 Hallmark Channel’s "COUNTDOWN TO CHRISTMAS" Steals the Show! Hallmark Channel’s annual Countdown to Christmas campaign continues to bring joy to the world, with the November 15 and November 16 original holiday premieres of Northpole and Angels and Ornaments catapulting the network to be the #1 most watched and highest-rated among HH’s for the weekend. In addition, the network rated #1 among W25-54 for its second consecutive week. The debuts of Northpole and Angels and Ornaments also became the #1 and #2 movies of the week, respectively, among HH ratings and delivery. 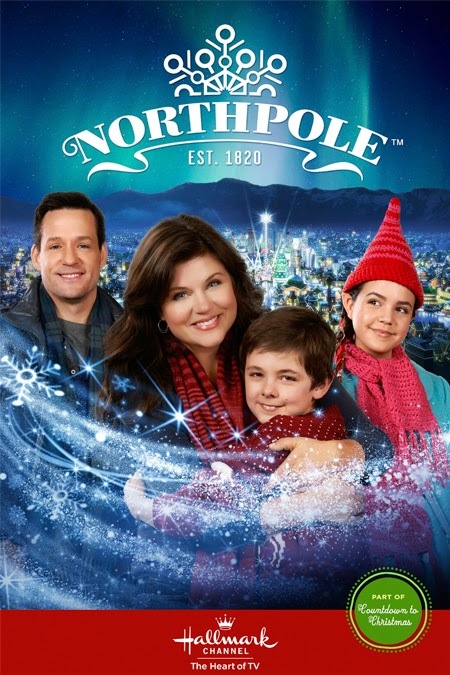 Northpole, produced in partnership with Hallmark Cards and a Countdown to Christmas tent pole, averaged 4 million total viewers and a 3.5 HH rtg, while also reaching 5.9 million unduplicated viewers. Additionally, the movie was the top program for the day on cable among HH ratings, as well as the network’s most watched and highest-rated original film of 2014 to-date among HH’s, W25-54, A25-54, and total viewers. In its November 15th 8-10pm time period, Northpole ranked as the #1-rated movie among HH (3.5) and Total Viewers (1.9). The film also placed #2 in key demo delivery among HH (2,975,000), W25-54 (844,000), and total viewers (4,007,000). Angels and Ornaments followed suit, averaging 3.3 million total viewers and a 3.0 HH rating and reaching 5.1 unduplicated viewers. In addition, the movie was the #2 rated and most watched cable program in its time period among HH and total viewers. 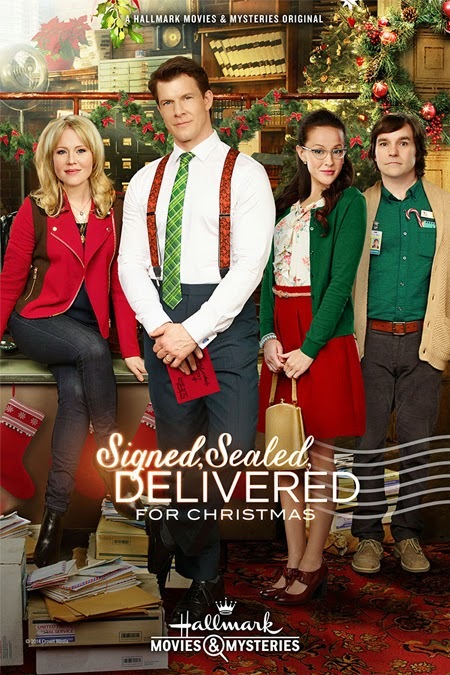 Viewers continue to flock to Countdown to Christmas, with Hallmark Channel’s programming extravaganza reaching over 33.1 million total viewers in just two weeks and registering growth of 7% among W25-54 delivery and 4% among A25-54, compared to the same period last year. Since their kick offs, Hallmark Channel’s Countdown to Christmas and Hallmark Movies & Mysteries’ The Most Wonderful Movies of Christmas, combined, have reached over 38.9 million total viewers. 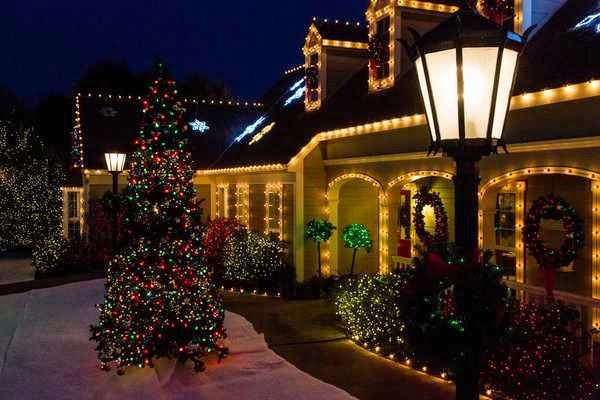 In Northpole, Santa (Robert Wagner) and Mrs. Claus’ (Jill St. John) magical home, Northpole, has grown into a vast city powered by the magic of holiday happiness around the world. Yet the city is in trouble, as people everywhere are too busy to enjoy festive time together. One of these stressed-out souls is Chelsea (Tiffani Thiessen), a single mom who is trying to get noticed at her new reporting job while helping her ten-year-old son Kevin (Max Charles) adjust to a new school. When he starts talking about real elves and actual sleigh rides, she worries that his imagination has gotten out of control. With a little added help from Kevin’s charming teacher Ryan (Josh Hopkins), a mysterious elf, Clementine (Bailee Madison), and a gospel singer named Josephine (Candice Glover), Chelsea may learn that even chasing down the facts can lead to holiday magic. In Angels and Ornaments, Corrine (Jessalyn Gilsig) happily prepares for her favorite holiday – Christmas – even though she is still upset from a recent breakup. A gifted musician, Corrine auditions for a solo in a community Christmas concert and plays Christmas carols on the piano to patrons of the music store where she works with childhood friend Dave (Graham Abbey). Her holiday season gets an unexpected dose of romance, when Harold (Sergio Di Zio), a mysterious new coworker, tries to form a love connection between Corrine and Dave. With Harold’s help, Corrine begins to view Dave in a new light, though she questions Harold’s intense interest in her love life. Unbeknownst to Corrine, Harold is on a Christmas Eve deadline from a higher power to fulfill this holiday fairytale! As the clock ticks down to Harold’s fairytale mission deadline, Corrine must decide if she will open up to Christmas love. 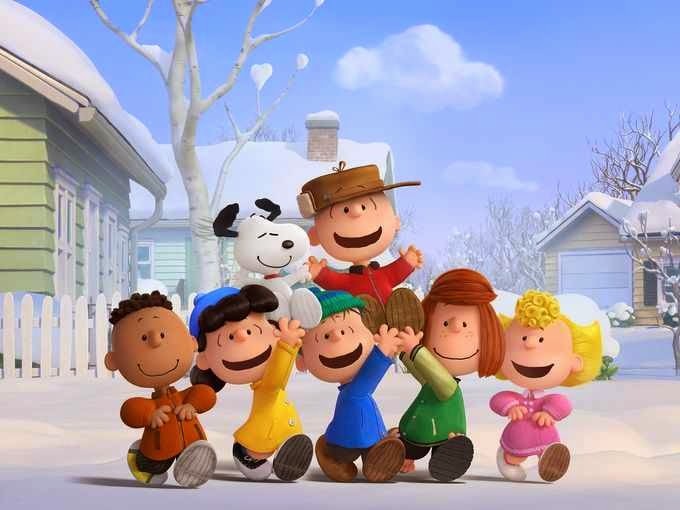 The Peanuts Movie - starring Charlie Brown, Sally, Snoopy, Linus, Lucy, Peppermint Patty, and all the Gang! or Chuck, as Peppermint Patty calls him! 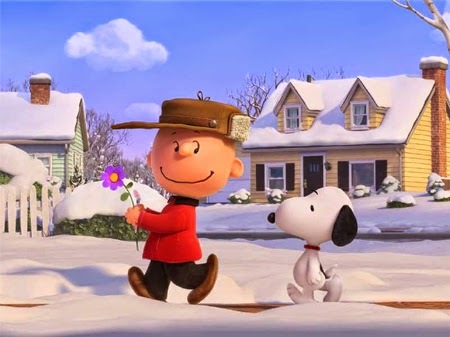 A Charlie Brown Movie, along with the entire Peanuts Gang, including: Snoopy, Sally, Linus, Lucy, Peppermint Patty, Marci, Schroder, Franklin, Woodstock, and more...will premiere November 6, 2015, in Theaters! According to USA Today, who released a few still images today of this upcoming production, the story follows Charlie Brown, "with the indomitable optimism on a quest to get something he's sure he needs, even though he discovers he's pretty OK just as he is". From everything I've read, it sounds like the creators are holding on to the traditional peanuts gang, without adding anyone new or modernizing the beloved characters we know and love! 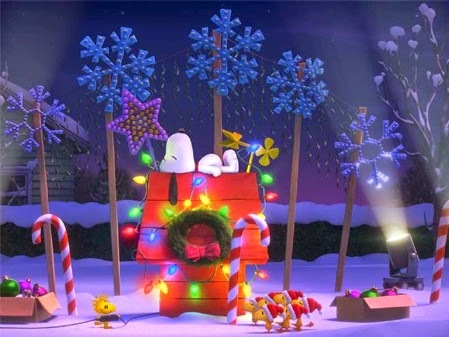 Also, it's clear to see from the images, with the snow on the ground and lights on Snoopy's house, that this new Charlie Brown movie must have some Christmas in it, too! Whether it's one scene, or the entire movie, we will have to wait and see! 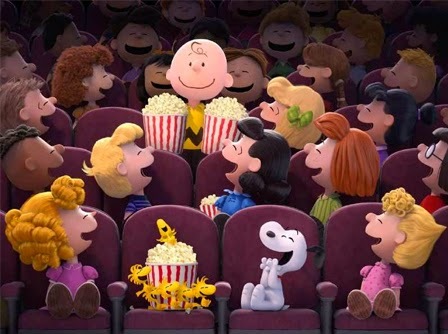 Whatever the case, I'm sure Peanuts fans, of every age, will be in line with great excitement, to see this new Charlie Brown Movie... next Thanksgiving and Christmas Season!!! Here are TWO sneak peak trailers below: Enjoy! 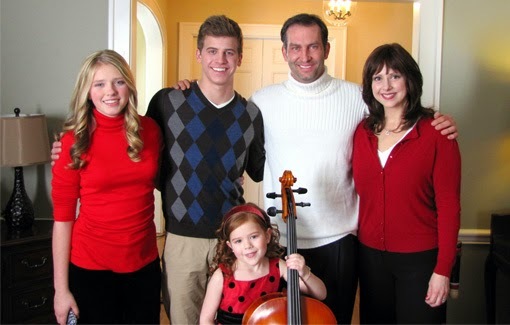 INTERVIEW: Kevin Sizemore of the UPtv Movie "A Christmas Tree Miracle"
"It's a Wonderful Movie" recently chatted with the star of the new Christmas film "A Christmas Tree Miracle," available on DVD and premiering on UPtv's "Everything You Love About Christmas" on Wednesday, November 26, 2014. *Bonus Q&A also included below with Ty Demartino, the Writer/Producer of "A Christmas Tree Miracle"! 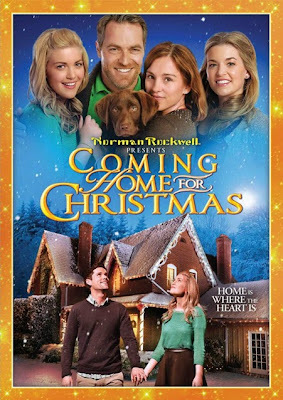 In this family Christmas film, Kevin Sizemore stars as David George, a father who loses his job right before the holidays and puts his self-centered family on a hopeless course until they taken in by an eccentric free farmer (played by Terry Kiser). Sizemore is known as Gary Humphrey from ABC’s RESURRECTION. He also appeared as Paul Randolph, small-town hotheaded deputy, in the Steven Spielberg-produced CBS UNDER THE DOME. An award winning actor, Sizemore has appeared on numerous Television shows over the years, which are all listed in his imdb.com profile, including NCIS, Stalker, Weeds, 24 and Rizzoli & Isles, to name a few. The George Family in "A Christmas Tree Miracle"
"A Christmas Tree Miracle's" director JW Myers' wife Tess is a friend of mine that I've known for years while living in Los Angeles. A few years after she and JW moved to the east coast, I received a message from Tess saying I might be right for a new movie JW was directing. I spoke to JW and he said it was shooting in West Virginia, the state I'm from and still love. I was interested already, but still wanted to read the script first. After doing so and them reviewing my audition, it was just a perfect fit. It was the first time I've been able to film a movie in my home state and I sure hope it's not the last. Could you tell us a little about your character? David George is a man who has forgotten what it's like to struggle. What I mean by that is that he has been bitten by that "high and mighty" bug and thought he was a bit more important than he really was. He doesn't have a great relationship with his family unless gifts are involved. He's driven by having the nicest car, the best suit and the best house on the highest hill. When he loses his job, David starts to realize what the true meanings of life and family are. It just takes his youngest child and a complete stranger to make him see those things. How long was the shoot? Where was it filmed? Was your Christmas Movie filmed in the winter? We shot the movie just under three weeks in Wheeling, West Virginia, and we shot also on the Feisley Tree Farm in Belmont, Ohio just over the WV border. We shot the film in March. We had to show the family over a year's time -- so we had to represent all the seasons. 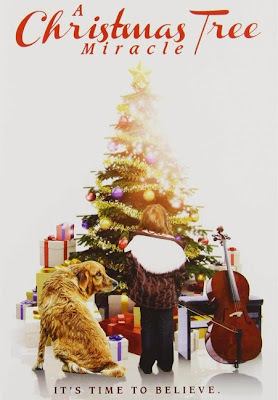 Do you have a favorite scene in “A Christmas Tree Miracle”? There was a special scene where David and his wife (played by Claudia Esposito) are sitting with Henry (Terry Kiser) in his living room talking about the farm. Henry asks us a very important question that would change out lives forever. At that moment, my children (played by Barrett Carnahan, Emily Capehart and Siomha Kenney) enter the room to share the excitement. It's a turning point in the movie and a great scene. Now that you are in a Christmas Movie… do you, perhaps, have an all-time favorite Christmas Movie/Special you watch every year? Wow. I think my favorite would have to be "Christmas Vacation" with Chevy Chase, but the animated "Rudolph, the Red-Nosed Reindeer" all the way back in 1964 with Burl Ives is watched every time it's on television. What do you hope viewers will take away from watching “A Christmas Tree Miracle”? It's an important message. The movie speaks about how the way you treat people can reflect the outcome of your life. Also the hope of knowing that sometimes you have to hit rock bottom before you realize what you truly have. Do you have a website, Facebook, or Twitter account you would like to share with viewers? 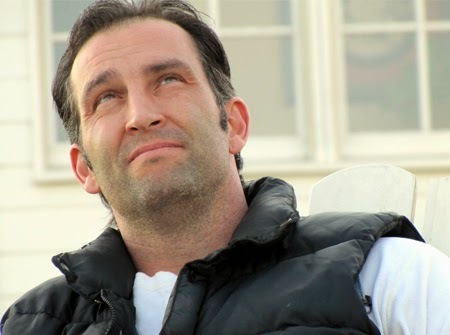 You can keep track of me at www.imdb.me/kevinsizemore and my Twitter is @kevinsizemore and Facebook is www.facebook.com/kevinsizemorepage. Kevin Sizemore’s upcoming films in 2015 include LAST BEST SUMMER EVER, CAN I GET A WITNESS PROTECTION?, SINKING SAND and currently in production, he is shooting the true story WOODLAWN directed by the Erwin Brothers. For more information on "A Christmas Tree Miracle" or to order the DVD, visit online at www.achristmastreemiracle.com or visit www.facebook.com/achristmastreemiracle or @xmastreemiracle on Twitter. I was also honored to chat with the writer and producer of "A Christmas Tree Miracle", Ty DeMartino. As the Writer/Producer of the UP Original Christmas Movie "A Christmas Tree Miracle", what has this movie making process been like for you? "Making A Christmas Tree Miracle was great fun. We had a wonderful cast. As a writer, you always want the best actors to bring your words to life. We were fortunate to have an amazing level of talent in our film. Also, we had a small talented and dedicated crew that worked hard to bring the magic to the movie. We shot the feature in about 20 days -- which is rather quick for the film industry. The hard work of everyone involve made it happen and we produced a special movie is touching many people." What do hope viewers will take away from seeing your film? "A Christmas Tree Miracle focuses on the George family. They're totally self-involved people who are more interested in things than each other. When the father loses his job, the family ignores the severity of the situation and they continue to live above their means -- until, suddenly, everything is gone and they have zero support from anyone. However, along the way, each family member unwittingly performs small acts of kindness that come back to them when they need it the most. That message -- of helping others, even in small ways -- is really speaking to people. They appreciate that we've created a movie that the entire family can enjoy with a strong inspirational message. I continue to receive emails and notes from people, both in this country and abroad, who have seen our film who have been touched by its story." I hope you all have enjoyed this insight into the movie "A Christmas Tree Miracle". I so appreciate Kevin and Ty taking the time to answer questions and share with us their movie-making experience! Viewers are always seeking family films and we are grateful to Ty and Kevin for creating and making this one for our families to enjoy!!! 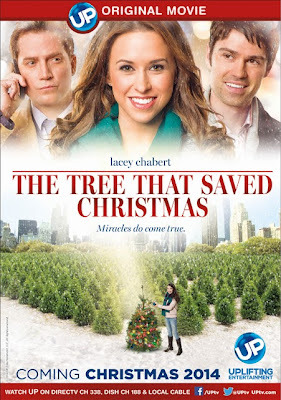 Please be sure to watch "A Christmas Tree Miracle" - premiering on TV November 26, 2014 and airing throughout the Christmas Season on UPtv during their "Everything You Love About Christmas" event! To order "A Christmas Tree Miracle" on DVD, please visit online at www.achristmastreemiracle.com or Amazon.com. 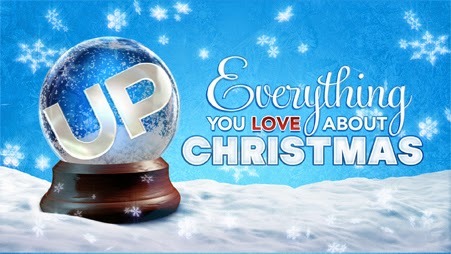 CHRISTMAS MOVIE ALERT: NORTHPOLE, PAPER ANGELS, & ANGELS AND ORNAMENTS to PREMIERE this WEEKEND on TV! *Also be sure to look for those fun games and gadgets from the Northpole in the movie! 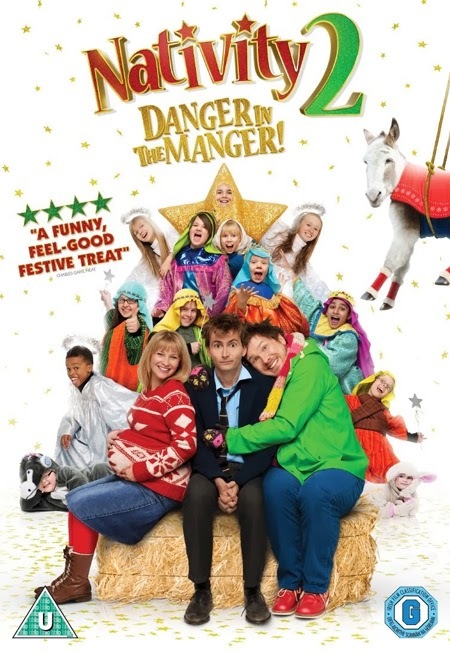 *NORTHPOLE is also available on DVD! I hope you all enjoy these new Christmas Movies this weekend! What a joy it is to catch up on beloved cherished favorites and watch these premieres, too! Please be sure to stop back by and leave a comment below and share what you thought of the new movies this weekend! "Now Jump In, Buckle Up, 'Cause we're going to Fly..."